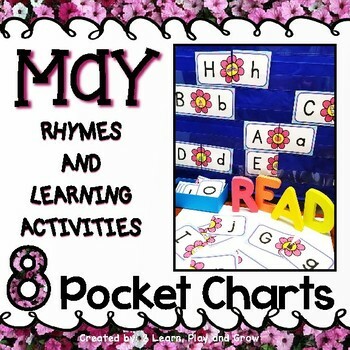 This set of EIGHT pocket chart rhymes and activities for May and spring or summer time will have your children excited for circle time or morning meeting. A visit it this months pocket chart center will include themes such as ice cream, ladybugs, growing flowers, and Mr. Hungry Shark. With a new rhyme AND learning activity EVERY WEEK in May you will be ready for circle time or morning meeting in no time. Everything but the pocket chart is included! No sentence strips to write, no wasted effort or extra materials needed. No cutting out little pieces either! All pieces can be cut on a paper cutter!!! Did you know you don’t even need to use a pocket chart for most of the activities? We often use them as magnet board activities and center activities at the table. Song/Rhyme: A Little Brown Seed - a poem about planting and watching seeds grow. Activity: Flower Match (Upper and lower-case letter matching) These puzzles will help children match upper and lower case letters, using the picture clue for help. 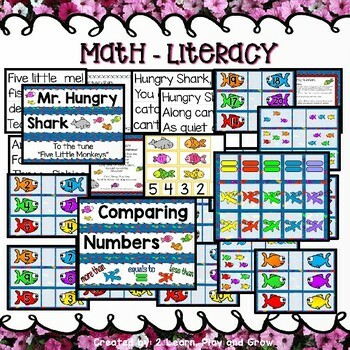 Song/Rhyme: Mr. Hungry Shark Kids totally love this easy rhyme that practices counting down little fish. Activity: Comparing Numbers will be fun using these "shark mouth" greater and less than signs. For differentiation children may compare the number of fish, numbers through 10 and numbers through 20. 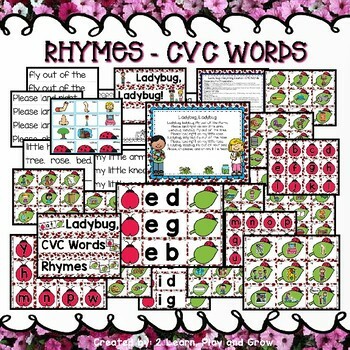 Activity: Ladybug CVC Game – Children add the beginning sound and find the picture that corresponds with the word they make. It also can be used for matching beginning or ending letter sound with picture or for putting cards in the correct alphabetical order. Song/Rhyme: Ice Cream How do your kids like their ice cream? 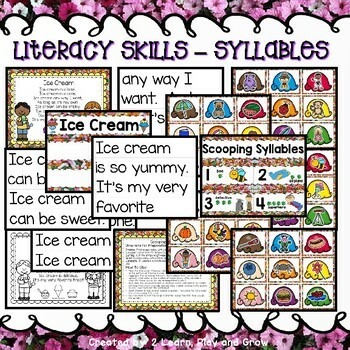 Activity: Ice Cream Syllable Sort – Children can sort the ice cream scoops with pictures under the correct label of one to four syllables. I hope your kids have a fun and educational month! Don't forget to check out the Pocket Chart GROWING BUNDLE NOW at a 50% discount.